Many adults think it’s too late for them to get orthodontic treatment. Not so! Anyone with healthy teeth and gums can have their teeth straightened. In fact, our Surrey dentists consider Invisalign to be an ideal treatment option for adults. Here’s why. Although orthodontic treatment is often associated with children and teenagers, more and more adults are getting orthodontic treatment these days. This is due in large part to the availability of lower profile orthodontic treatment options that aren’t as “visible” as traditional metal braces are. Many adults are put off by the idea of wearing metal braces because they can’t really be hidden, and can create a youthful look that is not necessarily compatible with the professional appearance they want to maintain in the workplace. There are also social pressures to consider; many adults feel they would be self-conscious wearing traditional braces in social settings. Straight teeth are a very important part of your oral health, and orthodontic treatment should not be avoided simply because of aesthetic concerns. This is especially true now that orthodontic treatment options like Invisalign are available. Invisalign is a series of clear plastic aligners that straighten teeth just like metal braces do. The important difference is that they are clear, meaning that they are very difficult to see, and indeed almost invisible, when worn. 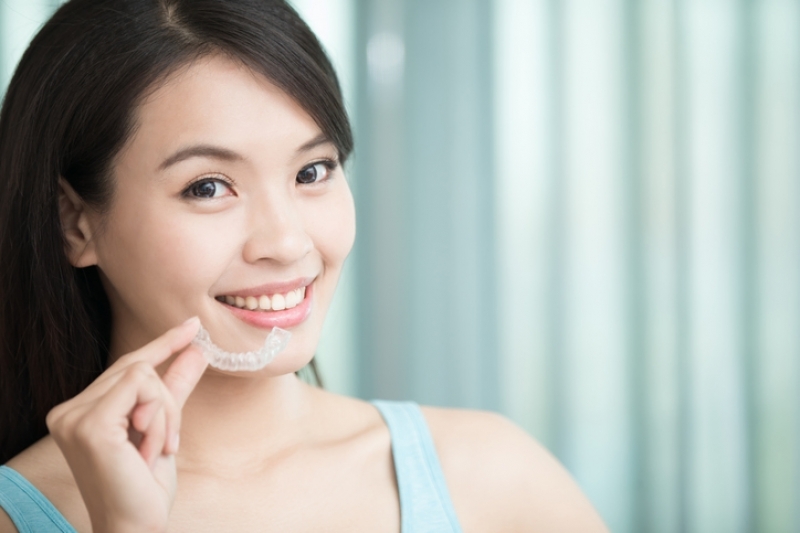 This aspect makes Invisalign a great choice for adults who are concerned about aesthetics. If you are considering orthodontic treatment, but are looking for a lower profile option than traditional braces provide, ask one of our Surrey dentists about Invisalign today!